Beaches of Plettenberg Bay on the Indian Ocean. Take a swim at Solar Beach with Robberg Nature Reserve in the background! 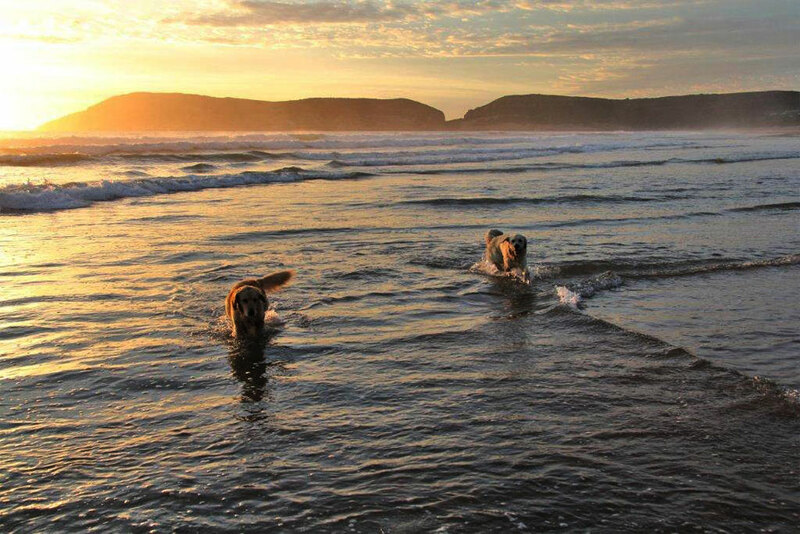 Enjoy the sun, the beach and the magnificent panorama of the Tsitsikamma Mountains at Plettenberg Bay! View of Guesthouse Pinkepank from the garden. Enjoy the garden and the pool area at Guesthouse Pinkepank! 600m from the stunning Solar Beach. Our prime location in Plett with the Robberg Nature Reserve peninsila in the background! Plettenberg Bay on South Africas Garden Route. You’ll find our Guesthouse Pinkepank in the heart of the Garden Route at Plettenberg Bay! Leaping Southern Right whale at Plettenberg Bay. Watch the whales (Humpback, Southern Right and Bryde’s) at Plettenberg Bay! Watch the dolphins frolicking in Plettenberg Bay’s surf! The lagoon at Plettenberg Bay on the Indian Ocean. The beautiful Keurboomriver lagoon with its opalescent colours at Plettenberg Bay! Your dream holiday at Plettenberg Bay on South Africa's Garden Route. You are perfectly positioned at our Plettenberg Bay guesthouse to experience South Africa's renowned Garden Route. 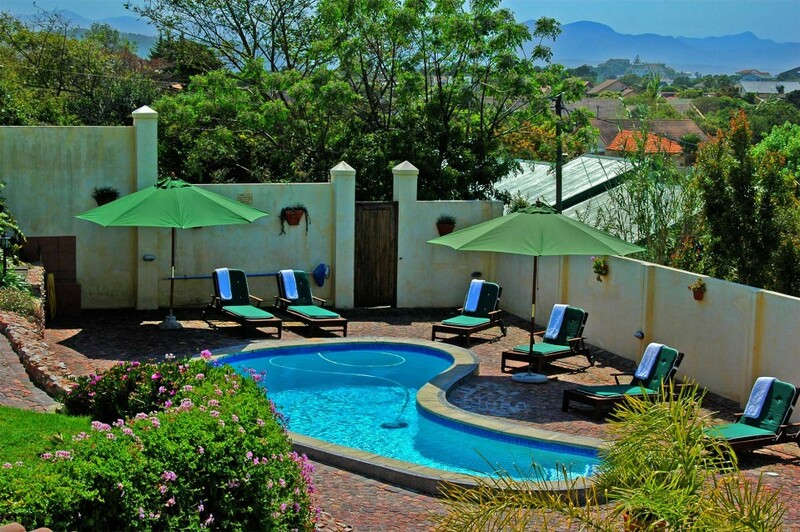 You will be welcomed with German hospitality at our guesthouse. 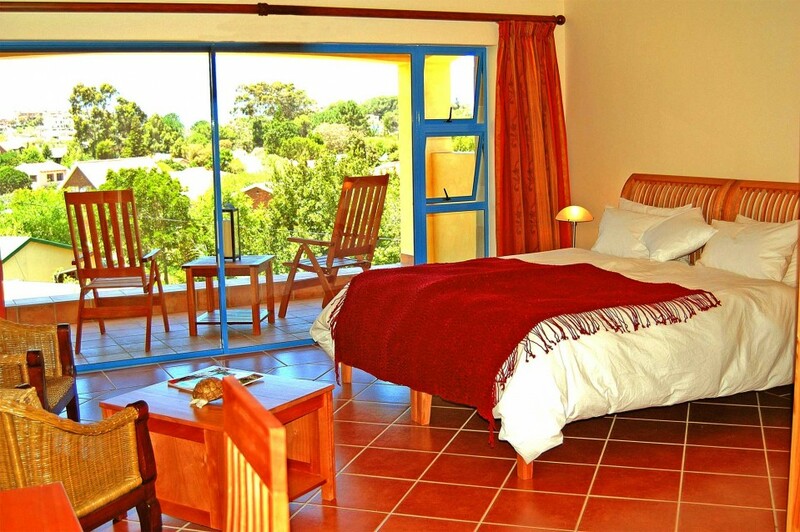 We have modern and well-equipped double rooms and are situated centrally in Plettenberg Bay. The marvellous Indian Ocean beach is situated only 600m away and can be reached easily on foot. The city centre and Robberg Nature Reserve are a mere 4 minutes away by car. Our English / German speaking accommodation offer overnight stays, with a rich breakfast and our good position gives you the opportunity, to reach the highlights of the Garden Route, by car in a short period of time or to enjoy your beach holiday at the seaside. Our spacious rooms all have their own covered terrace/balcony out on to the garden and pool. For those who prefer to relax by the pool, the garden offers the right ambience. Tips for your vacation and Plettenberg Bay. 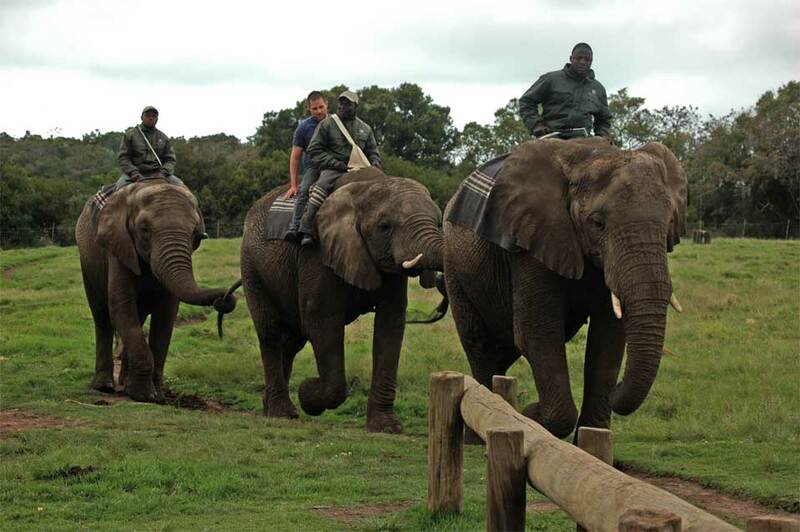 On shore you can meet with elephants, monkeys and cheetahs. The ocean offers encounters with dolphins, whales and seals. There is something to everybody’s liking in our area whether it is hiking, sunbathing, relaxing on the beach or Bungee jumping.